How to watch The Chinese Connection (1972) on Netflix France! Sorry, The Chinese Connection is not available on French Netflix, but you can unlock it right now in France and start watching! With a few simple steps you can change your Netflix region to a country like Japan and start watching Japanese Netflix, which includes The Chinese Connection. We'll keep checking Netflix France for The Chinese Connection, and this page will be updated with any changes. The Chinese Connection is not available in France BUT it can be unlocked and viewed! 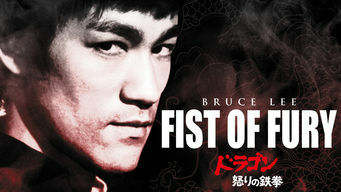 Martial arts legend Bruce Lee plays a man who, in early 20th-century Shanghai, China, returns to his former school to avenge his instructor's murder. A star pupil with a slain mentor is equal to a flaming ball of fury. Bring on the fists -- he's ready to dance. There is a way to watch The Chinese Connection in France, even though it isn't currently available on Netflix locally. What you need is a system that lets you change your Netflix country. With a few simple steps you can be watching The Chinese Connection and thousands of other titles!